Yesterday weRobots attended an event sponsored by Google and Enterprise Lithuania. We went there with an expectation of a small event (maybe a workshop) for geeks, but it actually was huge with big crowd, full main hall at LITEXPO conference center and three breakout sessions in the afternoon. The organisers were nice enough to let both weRobots co-founders to enter with only one ticket, plus we were selected for the “red room” break out sessions which was designated for the most advanced crowd. 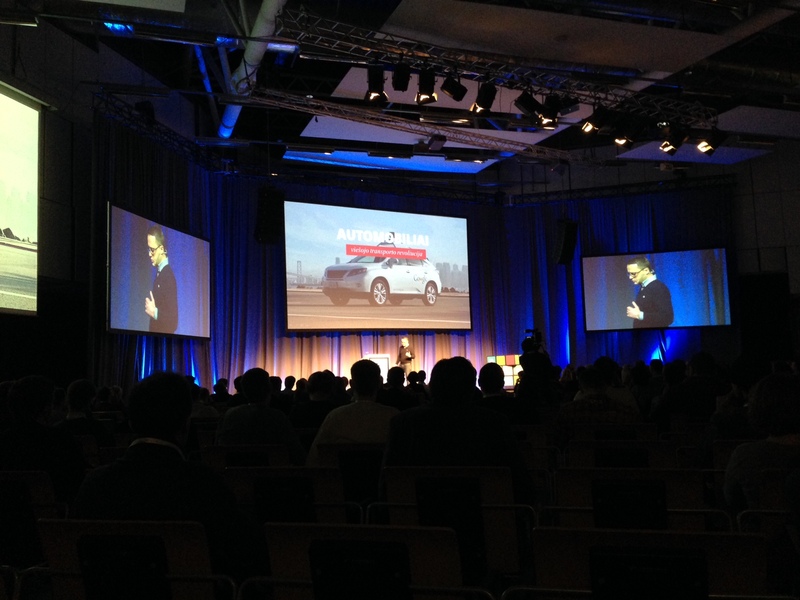 The most interesting part of the conference was a strong presentation by Pawel Matkowski (Google IE). He teased the audience with a promise that we will see something that has never been shown before, which always makes us feel special. Pawel’s speech gave us insight into where Google Analytics and Adwords product bundles are going in 2015. One key theme will be “data stitching” which means that Google wants to stitch data about user behaviour online with offline. This will be done by integrating all kinds of offline tokens, like shopping loyalty cards with Google Analytics. Google is also stitching data about users using multiple devices, since many of us are leaving online footprints from smartphones, tablets and desktops. For Google Analytics the same user may seem like three distinct users, but if users will start authenticating on all devices it will be easy to stitch usage data and attribute it to one single user. Stepping back and looking into the bigger picture it is clear that data about users is a honey hole for Google. Google will be influencing companies to integrate their backend systems, CRMs, loyalty cards, user IDs, etc with Google Analytics which will result in more and more holistic datasets about the users – useful for companies and even more useful for Google. Google will be able to create even more effective advertising and share the spoils with companies. Google Ads will become a high precision weapon for advertisers. Google will allow advertisers to fire ads at the and right user, right time, right location, right device, right mood, right weather, right room lighting (maybe I went too far here) – perfect mix to entice users into desired action.